The provisions of the Missouri statutes that permit the filing of mechanics liens and materialman's liens can be found in Missouri's Construction Lien Law, V.A.M.S. § 429.010 et. seq. The full text of the Missouri Mechanics' and Materialsmen's Lien Law is provided below, and has been updated as of 2011. To see a quick synopsis of the most important provisions, take a look at our Missouri Frequently Asked Questions page. 1. Any person who shall do or perform any work or labor upon land, rent any machinery or equipment, or use any rental machinery or equipment, or furnish any material, fixtures, engine, boiler or machinery for any building, erection or improvements upon land, or for repairing, grading, excavating, or filling of the same, or furnish and plant trees, shrubs, bushes or other plants or provides any type of landscaping goods or services or who installs outdoor irrigation systems under or by virtue of any contract with the owner or proprietor thereof, or his or her agent, trustee, contractor or subcontractor, or without a contract if ordered by a city, town, village or county having a charter form of government to abate the conditions that caused a structure on that property to be deemed a dangerous building under local ordinances pursuant to section 67.410, RSMo, upon complying with the provisions of sections 429.010 to 429.340, shall have for his or her work or labor done, machinery or equipment rented or materials, fixtures, engine, boiler, machinery, trees, shrubs, bushes or other plants furnished, or any type of landscaping goods or services provided, a lien upon such building, erection or improvements, and upon the land belonging to such owner or proprietor on which the same are situated, to the extent of three acres; or if such building, erection or improvements be upon any lot of land in any town, city or village, or if such building, erection or improvements be for manufacturing, industrial or commercial purposes and not within any city, town or village, then such lien shall be upon such building, erection or improvements, and the lot, tract or parcel of land upon which the same are situated, and not limited to the extent of three acres, to secure the payment of such work or labor done, machinery or equipment rented, or materials, fixtures, engine, boiler, machinery, trees, shrubs, bushes or other plants or any type of landscaping goods or services furnished, or outdoor irrigation systems installed; except that if such building, erection or improvements be not within the limits of any city, town or village, then such lien shall be also upon the land to the extent necessary to provide a roadway for ingress to and egress from the lot, tract or parcel of land upon which such building, erection or improvements are situated, not to exceed forty feet in width, to the nearest public road or highway. Such lien shall be enforceable only against the property of the original purchaser of such plants unless the lien is filed against the property prior to the conveyance of such property to a third person. For claims involving the rental of machinery or equipment to others who use the rental machinery or equipment, the lien shall be for the reasonable rental value of the machinery or equipment during the period of actual use and any periods of nonuse taken into account in the rental contract, while the machinery or equipment is on the property in question. (3) The party claiming the lien provides written notice within five business days of the commencement of the use of the rental machinery or equipment to the property owner that rental machinery or equipment is being used upon their property. Such notice shall identify the name of the entity that rented the machinery or equipment, the machinery or equipment being rented, and the rental rate. Nothing contained in this subsection shall apply to persons who use rented machinery or equipment in performing the work or labor described in subsection 1 of this section. 2. Compliance with subsection 1 of this section shall be a condition precedent to the creation, existence or validity of any mechanic’s lien in favor of such original contractor. 3. Any original contractor who fails to provide the written notice set out in subsection 1 of this section, with intent to defraud, shall be guilty of a class B misdemeanor and any contractor who knowingly issues a fraudulent lien waiver or a false affidavit shall be guilty of a class C felony. 4. The provisions of subsections 1 and 2 of this section shall not apply to new residences for which the buyer has been furnished mechanics’ and suppliers’ lien protection through a title insurance company registered in the state of Missouri. (4) A person related as closely as the fourth degree of consanguinity to the spouse of the settlement agent, officer, director or employee of the settlement agent. 1. The provisions of this section shall apply only to the repair or remodeling of or addition to owner-occupied residential property of four units or less. The term “owner” means the owner of record at the time any contractor, laborer or materialman agrees or is requested to furnish any work, labor, material, fixture, engine, boiler or machinery. The term “owner-occupied” means that property which the owner currently occupies, or intends to occupy and does occupy as a residence within a reasonable time after the completion of the repair, remodeling or addition which is the basis for the lien sought, pursuant to this section. The term “residential property” means property consisting of four or less existing units to which repairs, remodeling or additions are undertaken. This section shall not apply to the building, construction or erection of any improvements constituting the initial or original residential unit or units or other improvements or appurtenances forming a part of the original development of the property. The provisions added to this subsection in 1990 are intended to clarify the scope and meaning of this section as originally enacted. CONSENT IS HEREBY GIVEN FOR FILING OF MECHANIC’S LIENS BY ANY PERSON WHO SUPPLIES MATERIALS OR SERVICES FOR THE WORK DESCRIBED IN THIS CONTRACT ON THE PROPERTY ON WHICH IT IS LOCATED IF HE IS NOT PAID. 3. In addition to complying with the provisions of section 429.012, every original contractor shall retain a copy of the notice required by that section and any consent signed by an owner and shall furnish a copy to any person performing work or labor or furnishing material, fixtures, engines, boilers or machinery upon his request for such copy of the notice or consent. It shall be a condition precedent to the creation, existence or validity of any lien by anyone other than an original contractor that a copy of a consent in the form prescribed in subsection 2 of this section, signed by an owner, be attached to the recording of a claim of lien. The signature of one or more of the owners shall be binding upon all owners. Nothing in this section shall relieve the requirements of any original contractor under sections 429.010 and 429.012. 4. In the absence of a consent described in subsection 2 of this section, full payment of the amount due under a contract to the contractor shall be a complete defense to all liens filed by any person performing work or labor or furnishing material, fixtures, engines, boilers or machinery. Partial payment to the contractor shall only act as an offset to the extent of such payment. 5. Any person falsifying the signature of an owner, with intent to defraud, in the consent of owner provided in subsection 2 of this section shall be guilty of a class C felony. Any original contractor who knowingly issues a fraudulent consent of owner shall be guilty of a class C felony. 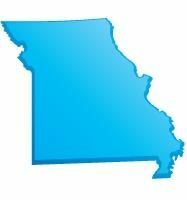 Click Here to File a Missouri Document. 1. Any original contractor, subcontractor or supplier who fails or refuses to pay any subcontractor, materialman, supplier or laborer for any services or materials provided pursuant to any contract referred to in section 429.010, 429.012 or 429.013 for which the original contractor, subcontractor or supplier has been paid, with the intent to defraud, commits the crime of lien fraud, regardless of whether the lien was perfected or filed within the time allowed by law. 2. A property owner or lessee who pays a subcontractor, materialman, supplier or laborer for the services or goods claimed pursuant to a lien, for which the original contractor, subcontractor or supplier has been paid, shall have a claim against the original contractor, subcontractor or supplier who failed or refused to pay the subcontractor, materialman, supplier or laborer. 3. Lien fraud is a class C felony if the amount of the lien filed or the aggregate amount of all liens filed on the subject property as a result of the conduct described in subsection 1 of this section is in excess of five hundred dollars, otherwise lien fraud is a class A misdemeanor. If no liens are filed, lien fraud is a class A misdemeanor. 1. Every registered architect or corporation registered to practice architecture, every registered professional engineer or corporation registered to practice professional engineering, every registered landscape architect or corporation registered to practice landscape architecture, and every registered land surveyor or corporation registered to practice land surveying, who does any landscape architectural, architectural, engineering or land surveying work upon or performs any landscape architectural, architectural, engineering or land surveying service directly connected with the erection or repair of any building or other improvement upon land under or by virtue of any contract with the owner or lessee thereof, or such owner’s or lessee’s agent, trustee, contractor or subcontractor, or without a contract if ordered by a city, town, village or county having a charter form of government to abate the conditions that caused a structure on that property to be deemed a dangerous building under local ordinances pursuant to section 67.410, upon complying with the provisions of this chapter, shall have for such person’s landscape architectural, architectural, engineering or land surveying work or service so done or performed, a lien upon the building or other improvements and upon the land belonging to the owner or lessee on which the building or improvements are situated, to the extent of three acres. If the building or other improvement is upon any lot of land in any town, city or village, then the lien shall be upon such building or other improvements, and the lot or land upon which the building or other improvements are situated, to secure the payment for the landscape architectural, architectural, engineering or land surveying work or service so done or performed. For purposes of this section, a corporation engaged in the practice of architecture, engineering, landscape architecture, or land surveying, shall be deemed to be registered if the corporation itself is registered under the laws of this state to practice architecture, engineering or land surveying. 2. Every mechanic or other person who shall do or perform any work or labor upon or furnish any material or machinery for the digging of a well to obtain water under or by virtue of any contract with the owner or lessee thereof, or such owner’s or lessee’s agent, trustee, contractor or subcontractor, upon complying with the provisions of sections 429.010 to 429. 340 shall have for such person’s work or labor done, or materials or machinery furnished, a lien upon the land belonging to such owner or lessee on which the same are situated, to the extent of three acres, to secure the payment of such work or labor done, or materials or machinery furnished as aforesaid. 3. Every mechanic or other person who shall do or perform any work or labor upon, or furnish any material, fixtures, engine, boiler or machinery, for the purpose of demolishing or razing a building or structure under or by virtue of any contract with the owner or lessee thereof, or such owner’s or lessee’s agent, trustee, contractor or subcontractor, or without a contract if ordered by a city, town, village or county having a charter form of government to abate the conditions that caused a structure on that property to be deemed a dangerous building under local ordinances pursuant to section 67.410, upon complying with the provisions of sections 429.010 to 429.340, shall have for such person’s work or labor done, or materials, fixtures, engine, boiler or machinery furnished, a lien upon the land belonging to such owner or lessee on which the same are situated, to the extent of three acres. If the building or buildings to be demolished or razed are upon any lot of land in any town, city or village, then the lien shall be upon the lot or lots or land upon which the building or other improvements are situated, to secure the payment for the labor and materials performed. 4. The provisions of sections 429.030 to 429.060 and sections 429.080 to 429.430 applicable to liens of mechanics and other persons shall apply to and govern the procedure with respect to the liens provided for in subsections 1, 2 and 3 of this section. (2) The owner or lessee is the owner or lessee of such real property either at the time the contract is made or at the time the lien is filed. 6. Priority between a design professional or corporation lien claimant and any other mechanic’s lien claimant shall be determined pursuant to the provisions of section 429.260 on a pro rata basis. 7. In any civil action, the owner or lessee may assert defenses which include that the actual construction of the planned work or improvement has not been performed in compliance with the professional services contract, is impracticable or is economically infeasible. 8. The agreement is in writing. 1. The provisions of this section shall only apply to mechanic’s liens asserted against residential real property, other than mechanic’s liens for the repair, remodeling, or addition to owner-occupied residential property of four units or less which are governed by section 429. 013 and other applicable sections of this chapter. 2. As used in this section, the term “residential real property” means any parcel of real estate, improved or unimproved, that is intended to be used or is used for the construction of residential structures and related improvements which support the residential use of the land where such residential structures are intended, upon completion, either to be occupied or sold by the current owner. Such residential structures shall include any residential dwelling of four units or less, whether or not a unit is occupied by an owner and shall also include any structures consisting solely of residential condominiums, townhouses or cooperatives regardless of the number of units. The definition of “residential real estate” shall exclude any mixed use or planned unit developments except to the extent that any residential uses of such developments are, or will be, located on separate, identifiable parcels from the non-residential uses and then only as to those residential uses. Residential real property shall also include any streets, sidewalks, utility services, improved common areas, or other facilities which are constructed within the defined residential use structures or located on or within the separate and identifiable parcels identified as for residential use. 3. Any person or entity, hereinafter referred to as claimant, who seeks to retain the right to assert a mechanic’s lien against residential real property, hereinafter referred to as property, shall record a notice of rights in the office of the recorder of deeds for the county in which the property is located, not less than five calendar days prior to the intended date of closing stated in a notice of intended sale as contemplated in this section. 4. Notwithstanding subsection 3 of this section, a claimant that is accurately identified in any previously recorded notice of rights recorded as to the property is relieved of its duty to record a notice of rights. 5. If the last day to record the notice of rights falls on a Saturday, Sunday, or legal holiday recognized by the state of Missouri, the notice of rights shall be recorded not later than the next day that the office of the recorder of deeds is open for business. 6. Any claimant that fails to record such notice of rights shall be deemed to waive and forfeit any right to assert a mechanic’s lien against such property. Despite any such waiver and forfeiture of mechanic’s lien rights, the claimant shall retain all other rights and remedies allowed by law to collect payment for its work, labor, and materials. 7. Notwithstanding any other provision of this section, a notice of rights recorded after the owner’s conveyance of the property to a bona fide purchaser for value shall not be effective to preserve the claimant’s mechanic’s lien rights to the property. Date: The date of the document. Owner: Identify Property owner, as “Grantor” by correct name. Claimant: Identify Claimant, as “Grantee” by correct name, current address, contact persons, and current telephone number. Property: The legal description of the property. Person Contracting with Claimant for Work: Identify person or entity contracting with Claimant by correct name, current address, and current telephone number. Persons performing work for or supplying materials to Claimant: Claimant may, but is not obligated to, identify any persons or entities which have or will be performing work or supplying materials on behalf of Claimant for the Property. Said persons or entities must be identified by correct legal name, address, and current telephone number. A recorded notice correctly identifies a person or entity so long as the identifying information in the notice is neither deceptively similar to another person or entity reasonably likely to provide labor, materials, supplies, or equipment for the improvement of property nor so deficient in information as to make it unreasonably difficult to identify such person or entity. The form shall be signed by a person authorized to execute the form on behalf of the claimant, and such signature shall be notarized. The name of the person signing the form shall be printed legibly or typed immediately below the signature. 9. The notice of rights shall be recorded by the claimant in the office of the recorder of deeds of the county in which the property is located. 10. The recorder of deeds shall record such notice of rights in the land records and index notice of rights such that owners shall be deemed grantors and claimants shall be deemed grantees, and the grantor’s signature shall not be required for recording. 11. (1) If the record title owner of residential real property, hereinafter the owner, has contracted with a claimant for the performance or provision of work, labor, or materials for the improvement of such property in order to facilitate the owner’s sale of such property to a bona fide purchaser for value as contemplated in this section, then the owner or such owner’s designated agent, shall record a notice of intended sale in the office of the recorder of deeds for the county in which the property is located. The notice of intended sale shall be recorded not less than forty-five calendar days prior to the earliest calendar date the owner intends to close on the sale of such property to such purchaser. The notice of intended sale shall state the calendar date on which the owner intends to close on the sale of such property to such purchaser. Only one notice of intended sale shall be recorded, even if the intended date of closing stated therein is postponed to a date later than that stated in the notice of intended sale. The owner’s, or its designated agent’s, recording of a notice of intended sale as to the subject property, as contemplated herein, is a condition precedent to a claimant’s obligation to record a notice of rights as to the subject property in order to retain a claimant’s mechanics lien rights as to such property. (2) The owner, or its designated agent, shall post on the subject property, or at an entrance to the subject property, or at any jobsite office located at or near the subject property, a copy of the owner’s notice of intended sale. (3) The owner, or its designated agent, shall provide any claimant with a copy of the notice of intended sale and a copy of a legal description of the subject property, within five calendar days after the date the owner, or its designated agent, receives a written request for the same from any such claimant. The information contemplated herein shall be transmitted by U.S. mail addressed to the claimant’s registered agent or principal place of business or transmitted by other commercially reasonable means. A claimant shall, in turn, provide any person or entity with which it has contracted to perform or provide work, labor, or materials for the improvement of the subject property, with written notice in the same form and manner, and containing the same information, as the written notice issued by the owner, all within ten calendar days after the date the claimant receives a written request for the same from any such person or entity. (4) If any owner, or its designated agent, fails to comply with the requirements of this section, a claimant shall be entitled to receive, as its sole and exclusive remedy for such failure to comply with the section, the claimant’s actual and reasonable costs, excluding attorney fees, to obtain a legal description of the subject property necessary for the claimant to record its notice of rights. The costs described in this section shall be lienable expenses. The owner’s, or its designated agent’s failure to post or mail or transmit the information contemplated in this section, shall not relieve, and is not a condition precedent to, a claimant’s obligation to record its notice of right in order to retain claimant’s mechanic lien rights as to such property. (5) The owner, or its designated agent, shall not be liable to any claimant, or other person, for any error, omission, or inaccuracy in the content of the information provided and disclosed by the owner, or its designated agent, except as otherwise expressly provided in this section. If a claimant receives a copy of the notice of intended sale and a legal description of the subject property from the owner, or its designated agent as contemplated in this section and the claimant relies in good faith upon the legal description and includes such legal description in a notice of rights as required in this section, and the claimant’s notice of rights otherwise complies with the requirements of this section, then any such claimant’s notice of rights shall be deemed to comply with the requirements of this section, and such claimant’s right to assert a mechanic’s lien as to the subject residential real property shall be retained even if subsequently it is determined that such legal description is in error or inaccurate as to the subject residential real property. 12. The recording of a notice of rights shall not extend the time for filing a mechanic’s lien as provided under section 429.080. 13. A separate notice of rights shall be recorded for each lot or parcel of residential real property upon which the claimant performs its work. Nothing herein shall be construed to prohibit the claimant from providing a notice of rights covering multiple lots in the same subdivision if common ownership of lots exists. If the claimant commences its work prior to the platting or subdivision of a tract of land comprising residential real property, the claimant is only required to record one notice of rights provided that the entire tract of land upon which any such lien is to be asserted is described in such notice of rights. 14. The claimant shall not be required to provide the notice required under section 429.100, but compliance with the requirements of this section shall not relieve the claimant of its duty to comply with all other applicable sections of this chapter, except as specifically modified herein, in order to preserve, assert, and enforce its mechanic’s lien rights. (8) The claimant shall attach a file-stamped copy of his or her notice of rights to claimant’s mechanic’s lien statement if and when filed with the circuit clerk under section 429.080. 16. To the extent that any error in the information contained in the claimant’s notice of rights prejudices the owner, any lender, disbursing company, title insurance company, or subsequent purchaser of the property, the claimant’s rights to assert a mechanic’s lien shall be forfeited to the extent of the prejudice caused by such error. (e) A certification by the person making the deposit of money, providing the letter of credit, or providing the surety bond that they have mailed a copy of the certificate of deposit to the claimant at the address listed on the mechanic’s lien being released, along with a copy of any letter of credit or bond deposited by said person. 18. Any surety bond deposited as substitute collateral shall obligate the surety company, to the extent of the penal sum of the bond, to pay any judgment entered under section 429.210. 19. Any letter of credit deposited as substitute collateral shall obligate the issuing bank, to the extent of the amount of the letter of credit, to pay any judgment entered under section 429.210. 20. Upon release of the residential real property from a mechanic’s lien by the deposit of substitute collateral, the claimant’s rights are transferred from the residential real property to the substitute collateral. all as deemed appropriate by the court. 22. The deposit of substitute collateral and release of claimant’s mechanic’s lien shall not modify any aspect of the priority of claimant’s interest, claimant’s burden of proving compliance with the mechanic’s lien statutes, or claimant’s obligations with respect to enforcement of its mechanic’s lien claim, including, but not limited to, time for filing suit to enforce and necessary parties to the suit to enforce. It is the intent only that the deposited substitute collateral shall be the ultimate source of any potential recovery by claimant instead of the funds generated by foreclosure of the residential real property. 23. A release of a mechanic’s lien under the deposit of substitute collateral shall not relieve any claimant of potential liability for slander of title or otherwise due to the filing of claimant’s mechanic’s lien. 24. The surety company for any bond or the bank which issued the letter of credit deposited under this section shall be made a party to any mechanic’s lien enforcement action with respect to any mechanic’s lien released by the deposit of said bond or letter of credit. 25. Any claimant may waive its right to assert a mechanic’s lien against residential real property by executing a partial or full waiver of mechanic’s lien rights, whether conditioned upon receipt of payment or unconditional, provided that a waiver of mechanic’s lien rights shall not be deemed or interpreted to waive or release mechanic’s lien rights in exchange for a payment of less than the amount claimed due at that time unless such mechanic’s lien waiver is an unconditional, final mechanic’s lien waiver in compliance with this section. 26. An unconditional, final lien waiver is a complete and absolute waiver of any mechanic’s lien rights against the residential real property described in the mechanic’s lien waiver, including any rights which might otherwise arise from remedial or additional labor, services, or materials provided to the residential real property, or which might benefit the residential real property, under either an initial agreement or a supplemental agreement entered into by the same parties prior to the execution of the unconditional, final mechanic’s lien waiver. Claimant’s legal name and the name, title or position, address, and telephone number of the person executing the unconditional final lien waiver on behalf of claimant shall be typed or legibly printed immediately above or below the signature, and the date that the document was signed shall be typed or legibly printed immediately adjacent to the signature. 28. A claimant executing an unconditional, final mechanic’s lien waiver for less than full consideration shall be bound by such mechanic’s lien waiver as it relates to any rights to assert a mechanic’s lien against the property, but such mechanic’s lien waiver shall not constitute a waiver or release of any other claim, remedy, or cause of action. 29. An unconditional, final mechanic’s lien waiver meeting the requirements of this section is valid and enforceable as to claimant’s mechanic’s lien rights as to the property identified on the unconditional, final mechanic’s lien waiver notwithstanding claimant’s failure to receive any promised payment or other consideration. 30. Any claimant who has recorded a notice of rights and who has been paid in full for the work performed on the property shall timely execute an unconditional, final mechanic’s lien waiver, shall not unreasonably withhold such a waiver when circumstances require prompt execution, and in no event shall fail to provide a waiver any later than five calendar days after claimant’s receipt of a written request to do so by any person or entity. A claimant who fails or refuses timely to execute an unconditional, final lien waiver when such claimant has been paid in full for any labor, materials, services, or equipment supplied or used in the improvement to the property shall be presumed liable for slander of title and for any damages sustained as a result thereof, together with a statutory penalty of five hundred dollars. 31. The provisions of this section shall apply to any residential real property conveyance closing on or after November 1, 2010. Every mechanic or other person who shall do or perform any work or labor upon or furnish any material for the construction of any street, curb, sidewalk, sewerline, waterline, or other pipeline in front of, adjacent to, along or adjoining any lot, tract or parcel of land in any town, city or village, under or by virtue of any contract with the owner or proprietor of such lot, tract or parcel of land, or his agent, trustee, contractor or subcontractor, or without a contract if ordered by a city, town, village or county having a charter form of government to abate the conditions that caused a structure on that property to be deemed a dangerous building under local ordinances pursuant to section 67.410, RSMo, shall, upon complying with the provisions of sections 429.010 to 429.340, have a lien upon such lot, tract or parcel of land for his work or labor done, or material furnished. The entire land, to the extent aforesaid, upon which any such building, erection or improvement is situated, or in front or alongside of which such street, curb, sidewalk, sewerline, waterline or other pipeline shall have been built, including as well that part of said land which is not covered with such building, erection or other improvement as that part thereof which is covered with the same, shall be subject to all liens created by sections 429.010 to 429.340 to the extent, and only to the extent, of all the right, title and interest owned therein by the owner or proprietor of such building, erection or improvement, and for whose immediate use or benefit the labor was done or the things furnished. 1. When multiple lots, tracts or parcels are the subject of one mechanic’s lien created by virtue of sections 429.010 to 429.340, it shall be permissible for every mechanic or other person who has a lien upon such multiple lots, tracts or parcels to release one or more of the lots, tracts or parcels from the mechanic’s lien. The lots, tracts or parcels released, and the amount of mechanic’s lien debt attributable to such lot, tract or parcel so released shall be specified by the mechanic’s lien claimant. On this .......... day of .........., 20..., before me personally appeared .........., to me1 known to be the person described in and who executed the foregoing instrument, and acknowledged that he/she executed the same as his/her free act and deed. IN TESTIMONY WHEREOF, I have hereunto set my hand and affixed my official seal in the county and state aforesaid, the day and year first above written. On this .......... day of .........., 20..., before me personally appeared .........., to me personally known, who, being by me duly sworn, did say that he is the .......... of .........., a Missouri corporation, and that the seal affixed to the foregoing corporation, and that the seal affixed to the foregoing instrument is the corporate seal of said corporation, and that said instrument was signed and sealed on behalf of said corporation by authority of its board of directors; and said .......... acknowledged said instrument to be the free act and deed of said corporation. When the improvements consist of two or more buildings, united together and situated upon the same lot or contiguous lots, or separate buildings upon contiguous lots, or a continuous or connected sidewalk in front or alongside of contiguous lots, and erected under one general contract, it shall not be necessary to file a separate lien upon each building or lot for the work done or materials furnished in the erection of such improvements. 1. Every building, erection, improvement and plant erected or constructed, and all materials, fixtures, engines, boilers, pumps, belting, pulleys, shafting, machinery and other personal property furnished, or placed on licensed or leased lots or lands shall, regardless of whether or not the owner of the license or lease has the right thereunder to remove the same or other personal property from such licensed or leased premises during or at the end of the term thereof, be held for the debt contracted for on account of the same and also the licensed interest or leasehold term for such lot and land on which the same is placed or erected. 2. Every mechanic, person or corporation who shall erect or construct any building, plant, improvement, or erection, or who shall furnish any material, fixture, engine, boiler, pump, belting, pulley, shafting, machinery or other personal property upon either licensed or leased lots or lands under or by virtue of any contract or account with the owner or proprietor of the license or lease or with his or its agent, or without a contract if ordered by a city, town, village or county having a charter form of government to abate the conditions that caused a structure on that property to be deemed a dangerous building under local ordinances pursuant to section 67.410, RSMo, upon complying with the provisions of sections 429.010 to 429.340, shall have a lien upon such building, plant, improvement, erection, and also upon such materials, fixtures, engines, boilers, pumps, belting, pulleys, shafting, machinery and such other personal property and also upon the license or lease on such lots or lands to the full extent of the number of acres or lots held under such license or lease by the owner thereof, and regardless of whether or not the owner of such license or lease has the right thereunder to remove either during or at the end of the term thereof such building, plant, improvement, erection, materials, fixtures, engines, boilers, pumps, belting, pulleys, shafting or machinery or other personal property thereon. 3. Every mechanic, person or corporation who shall do or perform any work or labor upon or repair any fixture, engine, boiler, pump, belting, pulley, shafting, machinery or other personal property belonging to a licensee or lessee and located upon either licensed or leased lots shall have for his work or labor done in repairing such personal property of the lessee or licensee, a lien upon such fixtures, engines, boilers, pumps, belting, pulleys, shafting, machinery or other personal property belonging to the lessee. 4. In case the licensee or lessee shall have forfeited his license or lease, the purchaser of the buildings, plants, erections, improvements, materials, fixtures, engines, boilers, pumps, belting, pulleys, shafting, machinery or other personal property and licensed interest or leasehold term or so much thereof as remains unexpired under the provisions of sections 429.010 to 429.340 shall be held to be the assignee of such licensed interest or leasehold term and as such shall be entitled to pay to the licensor or lessors all arrears of rents or other money, interest and costs due under said license or lease unless the licensor or lessor shall have regained possession of the licensed, or leasehold land, or obtained judgment for the possession thereof on account of the noncompliance by the licensee or lessee with the terms of the license or lease prior to the commencement of the buildings, erections, plants, or improvements erected or constructed prior to the time the materials, fixtures, engines, boilers, pumps, belting, pulleys, shafting, machinery or other personal property is furnished, or placed thereon, in which case the purchaser of the buildings, erections, plants, improvements, materials, fixtures, engines, boilers, pumps, belting, pulleys, shafting, machinery or other personal property shall have the right to remove the same within sixty days after the purchase thereof, and the owner of the ground shall receive the rent due to him payable out of the proceeds of the sale, according to the terms of the license or lease, down to the time of removing the building, erections, plants, improvements, materials, fixtures, engines, boilers, pumps, belting, pulleys, shafting, machinery or other personal property. It shall be the duty of every original contractor, every journeyman and day laborer, including persons who use rented machinery or equipment in performing such work or labor, and every other person seeking to obtain the benefit of the provisions of sections 429.010 to 429.340, within six months after the indebtedness shall have accrued, or, with respect to rental equipment or machinery rented to others, then, within sixty days after the date the last of the rental equipment or machinery was last removed from the property, to file with the clerk of the circuit court of the proper county a just and true account of the demand due him or them after all just credits have been given, which is to be a lien upon such building or other improvements, and a true description of the property, or so near as to identify the same, upon which the lien is intended to apply, with the name of the owner or contractor, or both, if known to the person filing the lien, which shall, in all cases, be verified by the oath of himself or some credible person for him. It shall be the duty of the clerk of the circuit court to endorse upon every account the date of its filing, and maintain an abstract thereof, containing the date of its filing, the name of the person seeking to enforce the lien, the amount claimed, the name of the person against whose property the lien is filed, and a description of the property charged with the same. Every person except the original contractor, who may wish to avail himself of the benefit of the provisions of sections 429.010 to 429.340, shall give ten days’ notice before the filing of the lien, as herein required, to the owner, owners or agent, or either of them, that he holds a claim against such building or improvement, setting forth the amount and from whom the same is due. Such notice may be served by any officer authorized by law to serve process in civil actions, or by any person who would be a competent witness. When served by an officer, his official return endorsed thereon shall be proof thereof, and when served by any other person, the fact of such service shall be verified by affidavit of the person so serving. Whenever property is sought to be charged with a lien under sections 429.010 to 429.340, and the owner of the property so sought to be charged shall not be a resident of this state, or shall have no agent in the county in which said property is situate, or when such owner shall be a resident of the state, but conceals himself, or has absconded, or absents himself from his usual place of abode, so that the notice required by section 429.100 cannot be served upon him, then, and in every such case, such notice may be recorded with the recorder of deeds of the county in which such property is situate, and when recorded shall have like effect as if served upon such owner or his agent in the manner contemplated by section 429.100. Such notice shall be accompanied by an applicable fee for recording and shall be taxed as costs in any lien suit to which the same pertains, to abide the result of the suit. Whenever any debt, which is a lien upon any building or other improvement, shall be paid or satisfied, the creditor, if required, shall file an acknowledgment of such satisfaction with the clerk of the circuit court. If any creditor refuse to enter satisfaction within ten days after payment and request, as aforesaid, he shall be liable to any person injured, to the amount of such injury and cost of suit. In all cases where a lien shall be filed under the provisions of sections 429.010 to 429.340 by any person other than a contractor, it shall be the duty of the contractor to defend any action brought thereupon, at his own expense; and, during the pendency of such action, the owner may withhold from the contractor the amount of money for which such lien shall be filed; and in case of judgment against the owner or his property upon the lien, he shall be entitled to deduct from any amount due by him to the contractor the amount of such judgment and costs, and, if he shall have settled with the contractor in full, shall be entitled to recover back from the contractor any amount so paid by the owner for which the contractor was originally the party liable. Every person, including all cestui que trust, for whose immediate use, enjoyment or benefit any building, erection or improvement shall be made, shall be included by the words “owner or proprietor” thereof under sections 429.010 to 429.340, not excepting such as may be minors over the age of eighteen years, or married women. Any two or more persons having filed in the clerk’s office mechanics’ liens may assign to each other or to any other person all their right, title and interest in and to such mechanics’ liens, and the assignee thereof may bring suit in his name and enforce all such assigned liens as fully as if the same had not been assigned. All actions under sections 429.010 to 429.340 shall be commenced within six months after filing the lien, and prosecuted without unnecessary delay to final judgment; and no lien shall continue to exist by virtue of the provisions of said sections, for more than six months after the lien shall be filed, unless within that time an action shall be instituted thereon, as herein prescribed. The pleadings, practice, process and other proceedings in cases arising under sections 429.010 to 429.340 shall be the same as in ordinary civil actions and proceedings in circuit courts, except as herein otherwise provided. The petition, among other things, shall allege the facts necessary for securing a lien under said sections, and shall contain a description of the property charged therewith. In all suits under sections 429.010 to 429.340 the parties to the contract shall, and all other persons interested in the matter in controversy or in the property charged with the lien may be made parties, but such as are not made parties shall not be bound by any such proceedings. In case of the death of any of the parties specified in section 429.190, whether before or after suit brought, the personal representative of such deceased party shall be made plaintiff or defendant, as the case may require, and it shall not be necessary to make the heirs or devisees of such deceased persons parties to the suit; but if there is no personal representative of such deceased person, then his heirs or devisees may be made parties, and if any of the heirs or devisees are minors under the age of eighteen years, their guardians or conservators of their estates shall be made parties with them; but if such minors shall have no guardians or conservators of their estates, the court in which the suit is pending shall appoint guardians ad litem for them in the same manner and under the same rules and regulations as guardians ad litem are appointed in proceedings for partition of real estate, and the judgment and proceedings of such court in any such suits shall be as binding on such minors as if they were over the age of eighteen years. The court shall ascertain, by a fair trial in the usual way, the amount of the indebtedness for which the lien is prosecuted, and may render judgment therefor in any sum not exceeding the amount claimed in the demand filed with the lien, together with interest and costs, although the creditor may have unintentionally failed to enter in his account filed the full amount of credits to which the debtor may be entitled. Judgment by default shall be rendered against every defendant who, after being summoned or notified according to law, shall not appear and plead within the time allowed in ordinary civil actions. When the debtor has not been served with summons according to law, and has not appeared, but has been lawfully notified by publication, the judgment, if for the plaintiff, shall be that he recover the amount of the indebtedness found to be due, and costs of suit, to be levied of the property charged with the lien therefor, which said property shall be correctly described in said judgment. When the debtor has been served with summons according to law, or appears to the action without service, the judgment, if for the plaintiff, shall be against such debtor as in ordinary cases, with the addition that if no sufficient property of the debtor can be found to satisfy such judgment and costs of suit, then the residue thereof be levied as provided in section 429.230. The execution to be issued shall be a special fieri facias, and shall be in conformity with the judgment, and such writ shall be returnable as ordinary executions; and the advertisement, sale and conveyance of real or personal estate under the same shall be made as under ordinary executions. The liens for work and labor done or things furnished, as specified in sections 429.010 to 429.340, shall be upon an equal footing, without reference to the date of filing the account or lien; and in all cases where a sale shall be ordered and the property sold, which may be described in any account or lien, the proceeds arising from such sale, when not sufficient to discharge in full all the liens against the same without reference to the date of filing the account or lien, shall be paid pro rata on the respective liens; provided, such account or liens shall have been filed and suit brought as provided by said sections. Any and all liens in sections 429.010 to 429.340 provided for may be adjudicated and determined and the rights of all parties interested in the same and in the property and of any of the property against which the same is claimed may be adjudicated, determined and enforced in one action which may be brought by any such lien claimant after the statement for such lien is filed in the office of the clerk of court, as herein provided, or such action may be brought by any owner or lessee of the property or any of it to be affected, or mortgagee or holder of any other encumbrance thereon. Such action shall be an equitable action for the purpose of determining the various rights, interest and liens of the various mechanics’ lien claimants and claimants of other liens and owner of any interest in or leasehold upon said property and for enforcing the rights of any and all such persons in, to or against the property, being the lands and buildings and either of the same and for sale of such property, land and buildings or either of the same and for marshalling and distribution of the proceeds thereof among the parties according to their respective legal and equitable rights therein. Such action shall be an equitable action for the purpose of determining, establishing and enforcing the various and respective rights of the parties thereto and for the purpose of marshaling, applying and distributing the proceeds of the sale of such property that may be ordered and decreed in said action. 1. All persons claiming any lien or encumbrance upon, and all persons having any rights in or against and all owners and lessees of said property to be affected and any of it, all as may be disclosed by the proper public records, shall be made parties to said action and parties whose interests are divers may join as plaintiffs therein, but if they do not join as plaintiffs, then they shall be made defendants. 2. Any person, lien claimant or other having any rights in, to, against or upon said property and any of it whose rights are not disclosed at the time of bringing said action by the proper record, shall be bound by the proceedings, orders and judgments in said actions, but any such person shall be entitled upon application to the court to be made a party to said action at any time before final disposition by the final judgment of the court therein of the proceeds of said property and shall be entitled according to their respective rights to participate in the proceeds of the sale of such property and any of it, as the same may be thereafter received or then remain under the jurisdiction of the court. 3. If at the commencement of said action any person whose rights are disclosed by the record is omitted as a party, he may thereafter be made party to said action either upon his own application or upon the application of any other party to said action or by the court of its own motion. 4. If any party to said action shall die or cease to exist during the pendency of said action before the judgment or order of sale therein of said property, then the proper representatives, either administrator or other proper successor in right, shall be substituted by order of the court upon motion and notice of motion without formal revivor of said action. After any such equitable action is commenced, the same shall be exclusive of other remedies for the enforcement of mechanics’ liens, but until such action is brought, the other remedies provided for in sections 429.010 to 429.340 shall remain and exist. And the procedure in any such equitable action, except as herein otherwise provided, shall be governed by the law and rules of procedure in civil actions generally. The equitable action above provided for shall be brought in the proper court of record regardless of the amount claimed by the plaintiff or plaintiffs in such action, and all other suits that may have been brought on any mechanic’s lien claim or demand shall be stayed and no further prosecuted, and the parties in any such other suit shall be made parties to such equitable action as in the foregoing sections provided, and any costs rightfully accrued in behalf of any lien claimant in any such other action shall be and become a part of the lien claim of such party. After the institution of such equitable action no separate suit shall be brought upon any mechanic’s lien or claim against said property, or any of it, but the rights of all persons shall be adjusted, adjudicated and enforced in such equitable suit. Any answer, or other pleading, or motion, or entry of appearance followed by pleading in due course, filed or made in any such equitable action by any mechanic’s lien claimant, within six months after the preliminary statement for the lien of such claimant has been filed in the proper office therefor, as required by law, or, when filed, or made, at the time required by law on a summons in such equitable action, issued before or within such six-months’ period within which suits on mechanics’ liens including this equitable action are required to be commenced, provided such equitable action is still pending, shall be deemed a commencement of an action by such mechanic’s lien claimant. At the instance of any party to said action the court may appoint a referee to hear and report the evidence and to make conclusions and findings of fact and law therein and to report the same to the court for its further action thereon, and the court may confirm and approve said report in full or in parts and may modify the same and make other findings from the evidence reported as may be just and proper and render judgment accordingly. The court shall not appoint in any such equitable action any referee of its own motion. And in any such action the court may, if it deem the parties entitled thereto, or in its discretion submit any issue upon any separate claim or demand to a jury, and any two or more of such issues may in the discretion of the court be submitted to one jury or the court may submit separately such issues to a jury and shall be bound by the findings of the jury thereon in the further proceedings in said cause, subject to the power of the court to grant new trial of such issues. This equitable action shall not apply to instances in which there is only one mechanic’s lien claimed against the property and any of it, but in any suit thereon the court shall determine the respective priorities as between such mechanic’s lien and any other lien or encumbrance and enforce the same accordingly. Upon sale and execution of deed for the property sold in such equitable action, either by special commissioner appointed to make said sale or by the sheriff or successor of such commissioner or sheriff, the court may order delivery of possession of the premises sold to the purchaser at such sale and enforce such order by writ of assistance or other proper process against all persons to said action and all persons bound thereby, including those whose interests did not appear of record at the commencement of said action and all persons becoming interested in said property or obtaining possession thereof after the commencement of said action, which shall be the filing of the petition therein. And the court shall have full power and jurisdiction to speed said action and require service of process to be obtained speedily upon all parties therein at the instance of any party either plaintiff or defendant in said action or of its own motion. Associate circuit judges may exercise jurisdiction without special assignment in all actions brought to enforce mechanics’ liens when the amount or balance claimed to be due does not exceed the monetary jurisdiction which associate circuit judges may exercise in ordinary civil actions without special assignment. The process, practice and procedure, including applications for trial de novo, in suits to enforce mechanics’ liens which are heard by an associate circuit judge without special assignment shall be as nearly as practicable the same as provided in other civil suits heard by associate circuit judges. When a case is specially assigned to an associate circuit judge to hear upon a record, the process, practice and procedure, including appeals, shall be the same as if the case was being heard by a circuit judge.